There are over 25,000 or more electrical fires reported every single year in the United States. The most common causes of these? Mishandling of electrical devices! Safety is huge, and even a minor mistake can leave you with property damage or far worse. That’s why at Pinellas County Electric we place your safety as a top priority. Below we detail the most effective methods of minimizing your electrical fire risks. Never overburden an outlet. We understand that you have oodles of appliances and electrical knick-knacks in your home. But circuits are only designed to handle so much, and they aren’t going to stop you from trying to plug one last thing into that outlet. But an overburdened outlet can easily start a fire. If you need more electrical access, use safe surge protection devices, or simply get more outlets installed. Pay attention to outlets near water sources. Kitchens, utility rooms, and garages should be equipped with GFCI (Ground Fault Circuit Interrupters) outlets that are safe to use around water sources. Don’t leave electrical devices unattended. We’re not asking you to stand guard over your PC or television at all times, but it’s wise to never leave things like space heaters running when no one is in the room. And this goes double for appliances in the kitchen—the number one place home fires start! Never leave flammables near cords, outlets, or heat sources. Be aware of where drapes or carpets might fall near your electrical devices. Electricity generates heat, and while in most cases the amount is mild, even a steady warmth can lead to ignited flammables if left alone for too long. Get rid of under-performing appliances. Does your box fan spark every time you plug it in, or is your microwave tripping a breaker every time it runs? Get rid of that appliance! Things like these are time bombs waiting to happen, and just because nothing has gone wrong yet doesn’t mean nothing will. There’s a reason they’re called accidents! Seek routine electrical safety and code inspections. There are tons of little things to keep up with in a home, and it’s unreasonable to expect you to know exactly how old your wiring, smoke alarms, appliances, and lights all are. That’s what professional inspections are for! 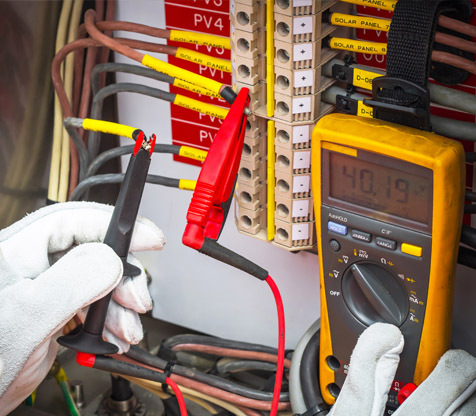 Experts have the tools and training to check all of your electrical systems in a matter of an hour or two. It’s a small cost for tons of protection, so be sure to get a routine service set up. Our experts never want to hear that one of our clients had a horrible electrical fire that could have been avoided. We offer a full range of electrical support, repair, and replacement services. Please, take advantage of what we have to offer and keep your home and family safe! 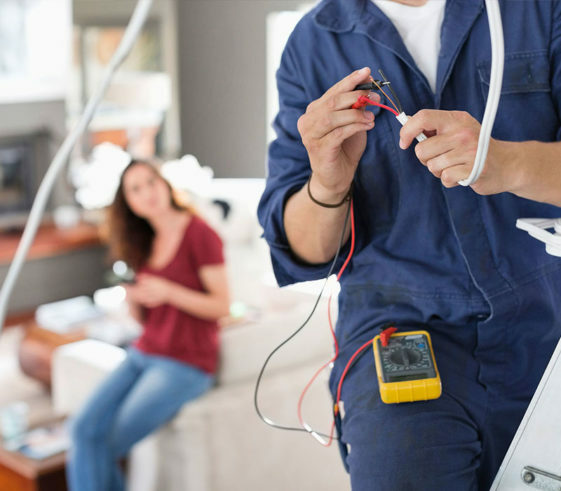 Looking for a certified electrician in the Tampa Bay area? Contact Pinellas County Electric now!